For some reason, memes and posts like this have started showing back up in my various social media streams. It seems like this particular melody gets sung every 6-12 months by some Christians and the chorus of “likes” and “shares” and “I agree” comments fill to social media outlets. But I do not join the chorus. And I don’t think it is advantageous for any of us to do so. Even typing those words made me cringe on the inside. Because laden within them and within the memes and posts above is this underlying assumption: God isn’t there. That somehow a law or a custom or a man-made institution is capable of retraining or inhibiting our God, our King of Kings, our Emmanuel. We are getting ready to enter into one of the most joyous and anticipated seasons in the Christian calendar; the season of Advent, leading to Christmas. In this season, we spend days focusing on one thing – the birth of Christ. And throughout the season we remind each other that we have a God that is not far off in some distant place waiting for us to come to Him. No! We serve a God who came to us, wrapped in our frail flesh, and walked among us, promising to be our Emmanuel – God WITH us – forever and ever. During this season we marvel at the miracle of our Savior’s birth, foretold by prophets and angels, and witnessed by shepherds and kings. We tell our children that because of this, they can rest assured that God is always with them, always present, always showing Himself strong on their behalf. We even think ahead to the next big celebration of Easter and we explain that through Christ’s birth and death as fully man and fully God, we have been given a Way into eternity ourselves and we will never be separated from God, ever, for all time. How sad for us and how confusing for our children. That in one moment we speak with such faith and confidence and in the next we mourn as though we have been left abandoned. Oh friends, wouldn’t it be much better to acknowledge the truth? That God CANNOT be “kicked out” of this world, no matter how hard humanity might try to do so? That our God thrives in places where men and women have tried to push Him out and silence His church? That our God isn’t just present in our schools, but in prisons, concentration camps, Roman amphitheaters and arenas, in the darkest persecutions and even in the greatest prosperity. God can’t be banned from earth. That battle was fought and won thousands of years ago. He is here to stay. He is Immanuel. He is God WITH us! And that is what we need to tell our children. We need to tell them the truth, that God IS in the public schools. That God IS in their classrooms and at their lunch tables and in their college dorm rooms and in their high school locker rooms. God is there, fully present and fully able to sustain them as they live for Him. The Bible isn’t banned; they carry the Word of God within them and they can speak words of truth and life anywhere they want to. Prayer isn’t prohibited; they can pray for themselves, for friends, for teachers, for anyone, anywhere at anytime and God will hear and will answer. Friends, our children need to hear that God isn’t quivering in a corner, afraid or tied down. Our God, the God that took on flesh and came to us as a baby, is coming back as the King of Kings and the Lord of Lords. He is not fearful; He is triumphant. If we continue to act as though this world somehow regulates that truth, we make our God too small and if anything, the next generation needs to know how big and how loving and how present our God is. We can’t proclaim that in church on Sunday and then lament His weakness the rest of the week. God is in the public schools. I’ve seen Him. God never got kicked out. He never removed His presence or His grace. No rule, regulation, law, or anything is strong enough for that. So let’s stop living a life of fear and regret. Let’s show our children that as long as we are His, He is here, present and active and ready to be Emmanuel to everyone who desires Him. I know, Thanksgiving comes first. And I do love Thanksgiving. The food, the family, the opportunity to express gratitude for all those things and more. But Advent is probably my favorite celebration of the year. Not Christmas necessarily, but Advent, the time leading up to Christmas. The anticipation of Christ’s arrival. The celebration of Hope, Peace, Joy and ultimate Love. A few years ago, I asked a group of elementary-aged children this question. Keep in mind that these children have been “raised” in church so the terminology of “advent” was not unfamiliar to them. But the answers… oh, the answers… seriously, one of the reasons I love working with kids. Admittedly there were some closer guesses, “countdown to Christmas” being the most popular one, but in reality, most of the kids had no idea about the heart and the wonder behind the season of Advent. And that got me thinking? Why? I know for a fact that Advent has always been celebrated at this church. Every year on the four Sundays leading up to Christmas, candles had been lit and Hope, Peace, Joy and Love talked about. Liturgical Scriptures were read and Advent vespers services were held. But somehow, the whole meaning behind the celebration of Advent was missed by the children. So the question is, how much of what we do on Sunday still has meaning for us on Monday? You see, lighting the candle of Hope on Sunday doesn’t mean a whole lot to me or you (or to our kids) if we don’t talk about that hope, contemplate that hope, and celebrate that hope for the rest of the week. Reading beautiful Scriptures of God’s promises and love for us doesn’t mean a whole lot if it stays inside the church walls and never makes it to our dinner table, our car ride, our community, and our job. Singing a few hymns of Christmas joy won’t impact our lives until we consider the words and use them to praise God on our recliner at home as much as we do our pew at church. The reality is, if we are “doing” something at church and not “doing” that same thing the rest of the week, we are compartmentalizing our faith to a building instead of incorporating our faith into transformed lives. We don’t have to literally light an Advent candle every night but if we want our children to know about the Hope of Christ, we need to talk about it every day. And it’s fine and even fun to sing Christmas carols in the car but we also need to model a life of worship everywhere we go. We don’t necessarily have to read Scripture aloud in front of our family but Scripture needs to be a part of our everyday conversations with our kids. I once asked a similar group of kids what church was. My answers ranged from “A building we go to on Sunday” to “Where God lives.” I know these are kids and “kids say the darndest things” but let’s be real for a minute. If we live lives that say “Church is a building we go to on Sunday because God is there” how else are our children to interpret our faith? What if instead we told our kids, “Church is the family of God and He is always with us so we are always in church?” Not with those words, but with our lives. Spontaneous worship. Times of prayer. Lighting of candles. Corporate worship. Waiting expectantly in hope for the arrival of Christ. These things don’t need to be limited to a place, a time, a special moment. These things can be lived all year long and our lives can be a living testimony to a vibrant, growing faith. Want some ideas on how to bring Advent home in simple, practical ways? Click here! Worried you can’t do it all? That’s okay! Click here. Deep Breaths. You are NOT a Horrible Parent. And with the stroke of midnight and the turning back of the clocks…it happened. Somehow we magically moved into the mysterious time we call the “holiday season.” In just a few days my Facebook feed has lit up with posts about Christmas, posts against Christmas, and posts pitting Thanksgiving and Christmas against each other. Christmas music has started playing on the radio and Thanksgiving turkeys are starting to show up in grocery stores. The whirlwind begins. Keep in mind, dear friends, that I LOVE the whirlwind. I embrace it like a moth to a flame. The busy isn’t busy to me – it’s rich and full and bursting with life. Time with friends and family becomes the essential instead of the extracurricular and food, fun, and fellowship the norm rather than the exception. But the is also the time of year where Stress gest a capital-S. Because while all those things above happen, so does all the other stuff that goes on year-round. It’s not like we hit the pause button on life so that we can celebrate; instead the celebration gets piled on already busy, stressed-out lives. 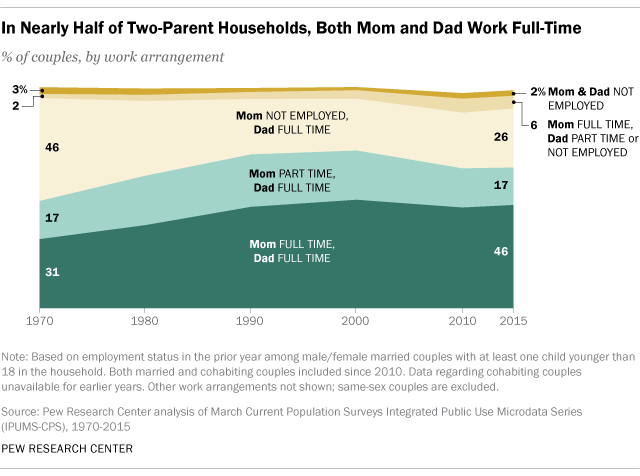 A recent study by Pew Research has found that in nearly half of two-parent homes, both parents work full-time. Of full-time working parents, 39 percent of mothers and 50 percent of fathers say they feel as if they spend too little time with their children. 59% percent of full-time working mothers say they don’t have enough leisure time, and more than half of working fathers say the same. When we add in the holidays on top of life, for many it is overwhelming. And then, if we add to that the calling for parents to intentionally lead and disciple their kids at home, using this time of year to teach them about gratitude, serving others, compassion, self-sacrifice, and giving through things like serving at a mission or participating in a food drive or giving up presents…for many, it feels impossible. Parents, may I encourage you? For a brief moment, before we are rushed headlong into this season, can I give you this small respite of grace? You don’t have to do it perfectly. You don’t have to make all the best choices, provide the best experiences, or present the best opportunities. When you sit at home: Doing a Thankful Pumpkin at dinner (see “how to” here), Watching a Christmas movie and looking for Jesus in it (see ideas for movie night discussion here), Wrapping gifts for family members and praying for each one while you do. When you walk along the road: Listening to Christian Christmas Carols and asking what part of the Christmas story it was about, Looking at Christmas lights and talking about how Jesus is our Light (check out this Christmas lights scavenger hunt if you have a long drive), Handing out Blessings Bags to those in need. When you lie down: Create a wall of blessing that you add to each night at bedtime (just tack up a piece of poster board and let kids decorate with stickers, pictures, etc. and list the year’s blessings, one each night/week), Start reading the Christmas story on December 1 until Christmas Day, Add one ornament each Saturday night to the tree that has special meaning to your family. When you rise: Use an Advent Calendar and open a door each morning before the day starts, Pray together for everyone you sent Christmas cards to (one person or family per morning/week), Put Christmas cards in your kids backpacks (you can get packs for $1 at Dollar Tree) with notes of blessing for them all season long. The reality is that the holidays are coming, will come, and will pass. Memories will be made. Life will happen. What January looks like for your family will in some way be dependent on what November and December looked like as they passed. 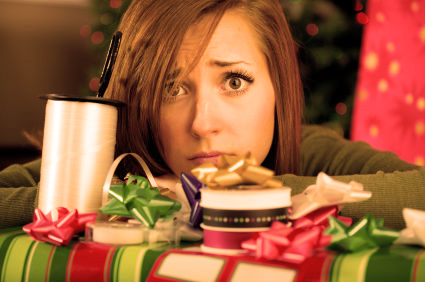 Don’t allow stress and shame steal the joy and opportunity of the season. Realistically, no family can do it all. But realistically, we can all do something. If we are unable to do “the big things,” let’s invite Jesus into all the little things and embrace the celebration for His sake. It will look different for each home, as it should. But in each home, Christ desires to be the respite, the rest, the peace no matter what season it is. I can’t tell you how many times a week I see posts from fellow kidmin and fammin leaders that say something like, “Looking for some new, upbeat songs for our kids” or “Need some new fun and energetic songs for children’s church.” I smile a little because my daughter (11) has been going to a local camp for the past year and always comes home singing the songs she’s learned there (and now loves) and they are the same exact songs I was singing when I went to camp at her age. New, fun, energetic – nothing wrong with any of that – but sometimes I wonder if we are looking for the right answer in the wrong places. Often the reason given for needing or wanting these new things is that the old things are no longer engaging the children. The kids aren’t excited to come to church, they don’t want to stand up to sing, they are bored with the format, they want something new. There’s always a ton of really great suggestions and resources, again often ministries that I would recommend, but I’m always curious about what happens next. When the newer, funner, more energetic songs get introduced into the group, is there a change? Do the kids begin to participate more? Are they excited to come to church? Is boredom still an issue? But even further down the road, does it help to create a generation of disciples that continue in their faith even into adulthood and parenthood and grandparenthood? Wow, that escalated quickly! I mean, that’s a whole lot to pin on some new music. Indeed it is. It’s a lot to pin on a new curriculum too. Or a new building. Or a new children’s pastor. Or a new fill-in-the-blank. It’s an awful lot to pin on any of those things. But churches do that all the time. I’ve done it. I’ve fallen for the “if we just get this thing or do that thing, then we’ll have the results we want” routine. Too often that’s the very direction we turn to for solutions. As parents, it can become easy to look for the next book or strategy or food or gadget that will help our children be all that they can be. As ministers, it can be come just as easy to look for the next resource or conference or gimmick or strategy that can help our ministry become all it can be. But all of those things, while fine and good, cannot on their own produce the legacy of faith that we call discipleship. Only disciples can create disciples. We need each other. We need relationships. We need community. It’s not even that we need it; it’s that we were created for it. Innate in each of us is this reflection of the image of a Triune God who exists in perfect unity and community. We were made in His likeness and therefore we can only be complete in community as well. Now, some new music, coupled with mentors dedicated to walking alongside a young person in the faith as they grow..that… that has some real possibilities. A new building and some dedicated volunteers who spend time not only in the church but outside of it, building relationships with the youth at soccer games and ballet recitals.. that has some promise. A new curriculum plus parents who are sold out to the idea that they are the greatest influence on their kids so they start the conversation ahead of time and follow up at home… that holds some solid hope for the future. A new children’s pastor and a faith community that is committed to ensuring that every person, regardless of age, knows they are welcomed, needed, and an integral part of the church… I mean, that, that could change the world. In fact, if we had all of the latter and none of the former, I just bet we’d see more kids excited about church…and more adults too. You see, it really is old news. We were made for one another. New things are nice, even good, but without each other, they just can’t bring about the change we desire. What if before we looked for something new, we took the time to strengthen the things that already are? What if we intentionally removed the barriers that keep us apart and begin to find ways to discover God together? It’s definitely more work than just adding a new thing, but my guess is the results would be much longer-lasting and much more along the lines of what we really desire for the next generation that we are ministering to.